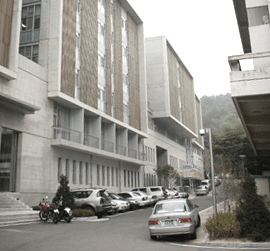 The Program in Urban Design was established as a graduate school curriculum at SNU in 1998 to satisfy the era’s demand for global competitiveness in urban design. The program combines courses from the College of Engineering’s majors in architecture; civil, urban, and geosystem engineering; agriculture and life sciences; landscape architecture; and the graduate school of the environment. It educates students to solve problems and improve life in urban environments. It is possible to deal effectively with complex urban or environmental problems by fostering comprehensive thinking and communication/negotiation skills. Using the information provided by the various majors, the Program in Urban Design helps students to improve their comprehensive thinking and negotiating skills, and prepare to address complex urban environmental problems. Core subjects include design studios and seminars, where students gain knowledge and learn methods of applying it. Courses on other subjects such as soil utilization and traffic planning, urban infrastructure, urban development, urban economics, place marketing, public finance techniques, and geographic information are provided to support students’ learning. This program combines the areas of architectural design and urban landscape planning, with a focus on managing and developing actual cities and the necessary planning and design techniques and policies. Research areas include urban redevelopment and housing development techniques, environmentally friendly urban design techniques, and new town planning and design techniques. Modern cities are growing rapidly but facing stagnation in development due to poor physical conditions and high land prices. These have been serious problems in western cities and are now becoming problems in Korea’s metropolitan areas such as Seoul. The key points of city redevelopment are arbitration of rights; confirmation of development profits, which should be appropriate in light of the high cost of redevelopment; and creation of a high standard for the physical environment. However, redevelopment cannot be completed simply by following rules and increasing returns. Successful redevelopment requires the consideration of other factors, such as the surrounding region’s historical and cultural background and changes in the industrial structure. To create desirable physical environments, this research area focuses on investigating various development techniques and regulations. Large projects such as the Cheonggyecheon restoration have been conducted by the Seoul National University Environmental Planning Institute, which provides intellectual and human resources for various projects. Redevelopment problems always arise with the suburbanization of a city. In Seoul, the vitality of the downtown area has declined, and unplanned developments have occurred in the metropolitan area without regard for the environment. Since five new town developments have been established, thoughtless use and the development of blind spots in the land use management system have intensified, causing deficiencies in foundational facilities and damaging the environment. As a method of establishing policy measures, planning for new town development is being initiated again. In large-scale urban developments, the role of urban designers is very important for harmonious operation by private developers. Korea’s planned new towns have been studied and analyzed. On the basis of the findings, research is still in progress to create ideas for a sustainable Korean urban framework. This research will not only affect the new towns themselves but also become a model for restructuring other established towns. The demand for urban design specialists in the private sector has increased recently, but urban design has traditionally been conducted in the public sector, aiding decision making and resolving conflicts between different interests. Historically, this is because urban design was established in order to reduce environmental damage resulting from inappropriate use of private property. This has been established legislatively by the region unit plan, but in the past, this activity has not been as systematic due to the dual urban design tools of building laws and city planning laws. This was true during the transition period of local governments, when local boosterism was used as a means of up-zoning. One of the main goals of this research is to plan elaborate institutional solutions that yield a simple urban design functionality. To pursue this research, it is necessary to understand urban design itself as well as the relevant laws and administrative systems, local self-government, and urban economics. Using the strength of the cooperative course system, the program facilitates active exchanges with other subjects such as environmental planning and geography in order to establish an urban design institution. Forecasting urban transitions using weighted models was popular in the 1980s but became less common for a time after difficulties in determining the optimal mathematical design were encountered. However, the development of information technology geographical information systems (GISs) in the 1990s opened new possibilities for using technology for forecasting and interactive decision-making regarding the use of urban spaces. Considerable research has been conducted in order to develop models and apply information technology to urban/traffic planning in Korea. However, the development of micro-utilization of land and design support systems have provided the foundation for urban design at a human scale, although their application worldwide is still in the early stages. This program supports research on alternative planning methods for complex urban environments in which a forecasting model and a GIS model of micro-utilization of land are employed. Further, we expect to obtain full-scale results owing to the reduction in the cost of structuring data after the completion of the National GIS project.